The Arnold family made history on 6th August 2016, as they all officiated on the same NCL game for the first time. 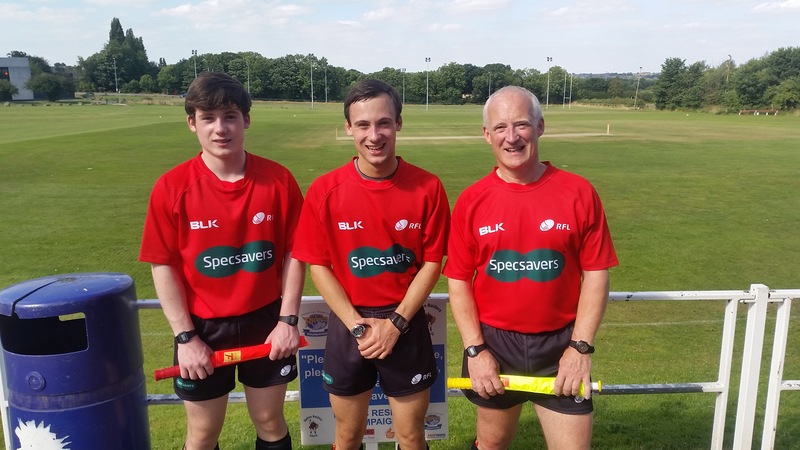 Denton Arnold, 18, took charge of Featherstone Lions’ NCL Division One trip to Oulton Raiders, while brother Tolver, 15, and dad, Innes, who is 53, were appointed as Touch Judges. Full article published by The RFL can be found HERE. Arnold’s pose for photo at Oulton Raiders.